Cerib has a test hall fitted with a range of equipment and apparatus for carrying out performance-based testing and modelling: analysis of water-accessible porosity, chloride intrusion and gas permeability, electrical resistivity testing, accelerated carbonation testing, freeze-thaw testing, scaling testing, accelerated testing of resistance to chemically aggressive environments, etc. All this equipment serves to assess the fundamental parameters governing concrete durability, and thus to help choose concrete mix designs appropriate for a given environment, or to help towards the diagnosis of existing structures. These parameters can also be used for predictive modelling of the lifetime of works or structures. The SDReaM-crete digital model can identify the physico-chemical mechanisms deemed to be determining for environmental interaction with a structure, and thus predict a structure’s service lifetime. 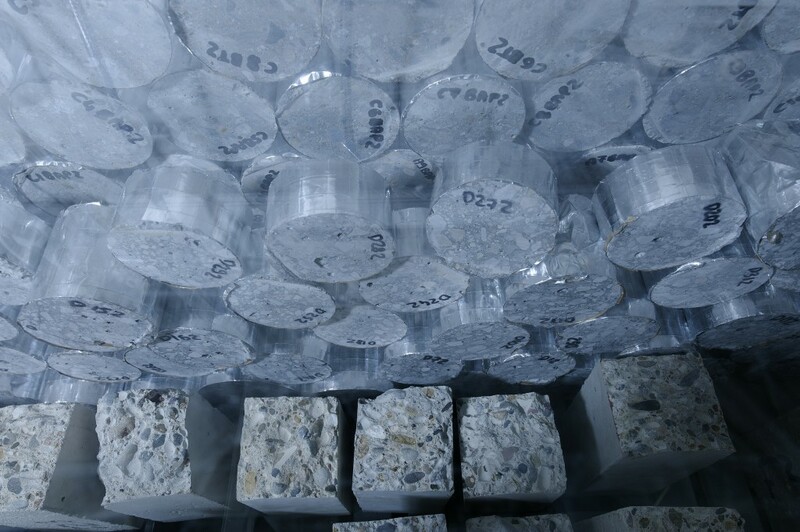 Cerib is accredited by the French accreditation body COFRAC Essais for the following durability tests: freeze/thaw, voids content, permeability and chloride-ion intrusion (Accreditation No. 1-0001 – scope available at www.cofrac.fr). 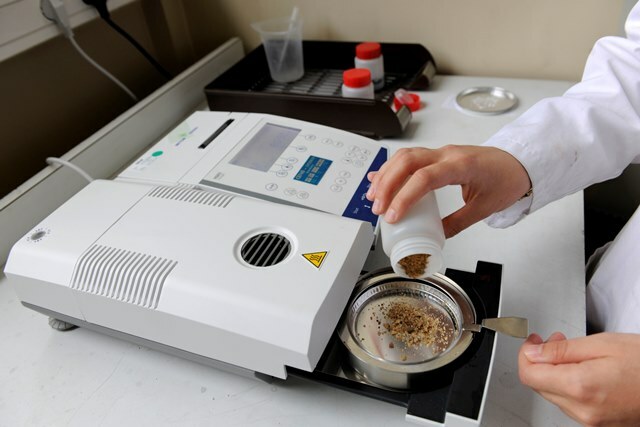 Cerib’s Microstructure laboratory uses a range of equipment. Scanning electron microscope (SEM): for high-resolution observation, at the microstructural level, of the surface of concrete specimens. Coupled with an energy-dispersive X-ray (EDX) spectrograph, SEM can determine the chemical composition of a material and can map the distribution of chemical elements. X-ray diffractometer (XRD): for determining the mineralogical phases in the material analyzed. Thermogravimetric analyzer (TGA/DTA): for determining weight loss or phase changes that are characteristic of a material. For concrete: measurement of water content, of carbonates present, etc. Appraisal equipment: core sampler, cover meter, radar, rebound hammer, calcium-carbide moisture measuring instrument, tensile testing apparatus (adhesion), assessment of concrete carbonation depth, etc. 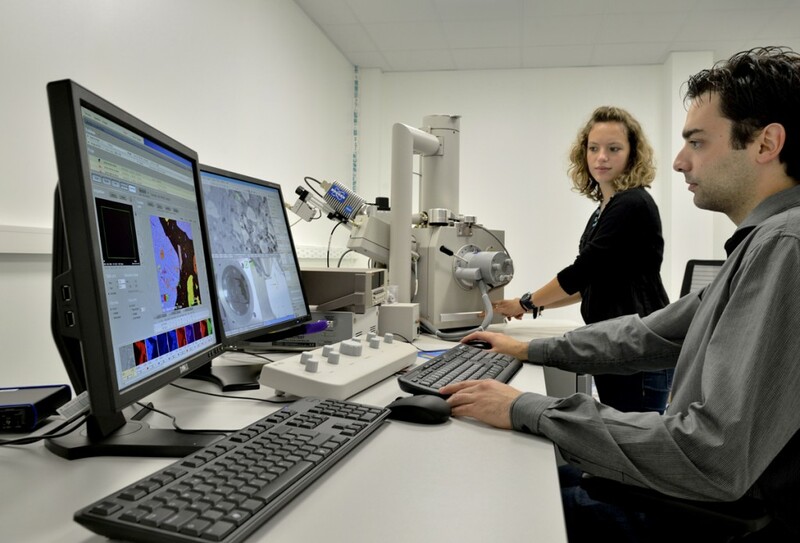 Use of SEM and XRD is appropriate in many applications, for characterizing new constituents or, in the case of expert appraisals, for identifying the causes of any structural or aesthetic disorders. 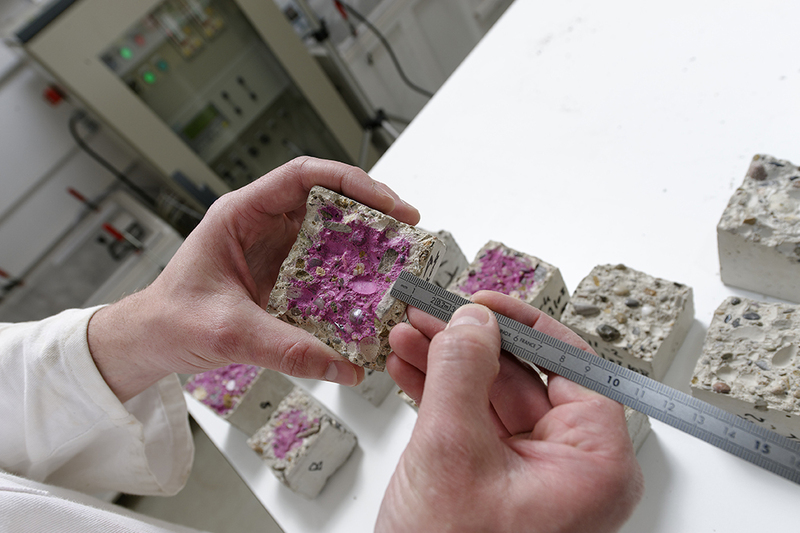 The Cerib Materials Chemistry laboratory carries out chemical tests on mixing water, aggregate, admixtures, cements, mortars, additions, and concretes, using a range of high-performance equipment. A pH-meter and a conductometer complete the Materials Chemistry laboratory’s range of analysis equipment.